I love herbs. On my back porch you can always find large flower pots filled with herbs like basil, cilantro, parsley, rosemary, savory, dill and whatever I feel like growing. Having herb pots just outside my kitchen door inspires me to create fresh and healthy recipes with lots of flavor and often very little effort. 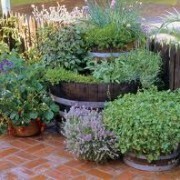 Fresh herbs are super easy to grow as well – simply water and make good use of them and watch them grow all summer long! 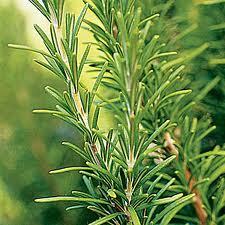 Here in North Carolina I have herbs growing all spring, summer and fall. 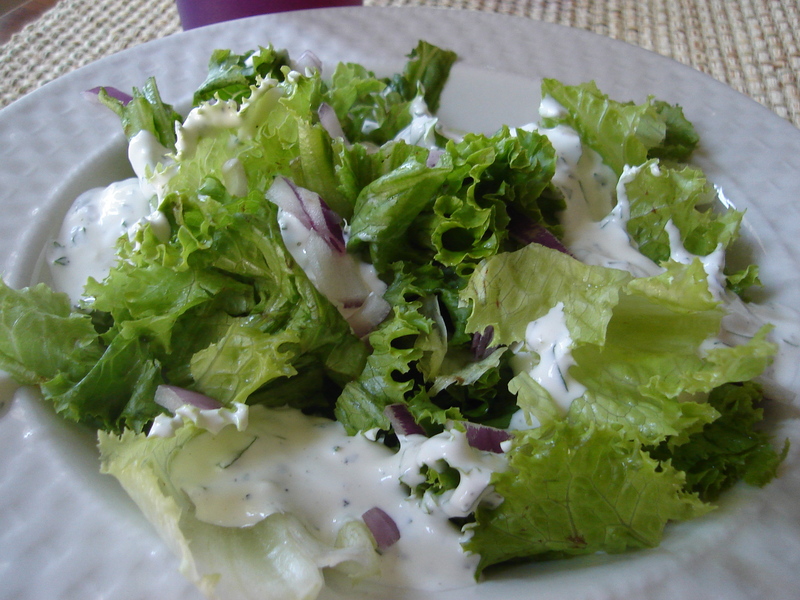 One of the recipes inspired by my herb garden is Green Goddess Dressing. I love it. Perfect on a salad, on a burger bun, or as a dip served with veggies –it’s simply delicious. Super quick and easy to prepare, making it yourself will save you a bunch of money, too! You can make this with sour cream, but I love the tangy flavor of plain Greek yogurt and it’s better for you, too! I also love cutting up fresh herbs for my salads. It is terrific! Simply combine all of the ingredients in a bowl and enjoy!